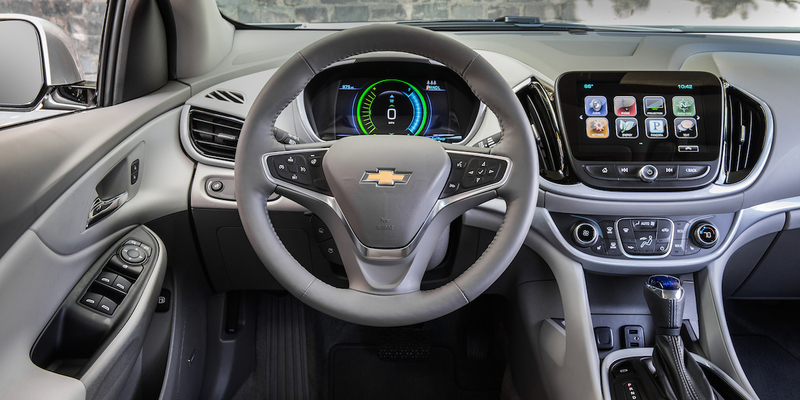 Volt adeptly blends the benefits of electric-only driving with the security of a gasoline powertrain to eliminate the “range anxiety” associated with typical electric cars. Prices are a bit steep compared to conventional-powertrain compacts, and rear-seat passenger room is tight. 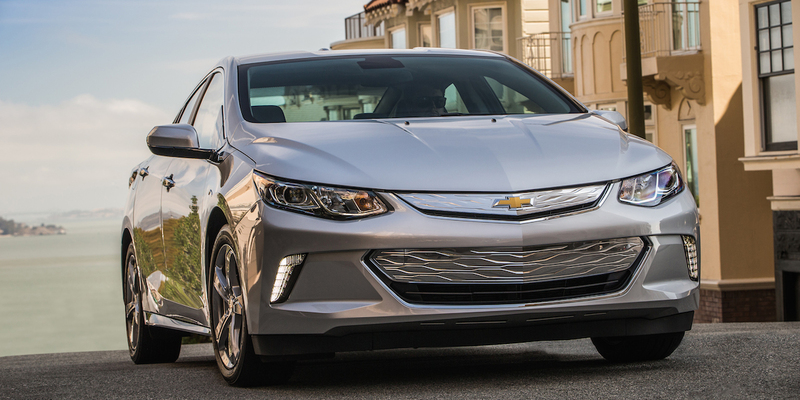 Inside and out, the second-generation Volt has a slightly more mainstream look than its predecessor, but it retains a hatchback-sedan design for additional cargo versatility. Volt is an extended-range electric vehicle. 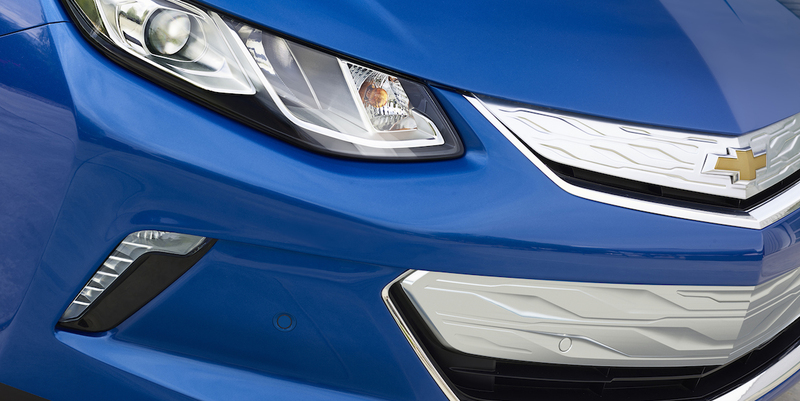 After debuting as a 2011 model, the Volt was redesigned from the ground up for the 2016 model year. This 4-door hatchback sedan runs on just battery power for about the first 53 miles after a full charge (a notable improvement over the previous Volt’s range of about 38 miles). When the battery starts to run low, a gas engine kicks on that turns a generator that produces electricity to drive the car. The Volt can then be driven another 420 or so miles, at which point the gas tank can be refilled as in any normal car, and you can keep going. 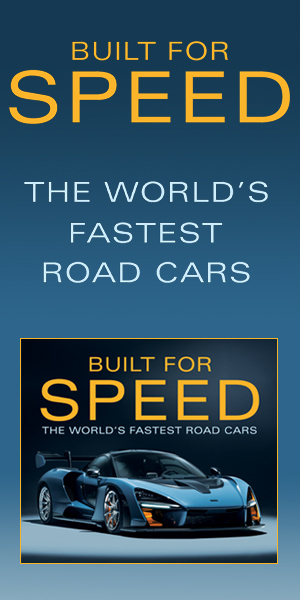 But those who travel short distances every day will only rarely need to add fuel. 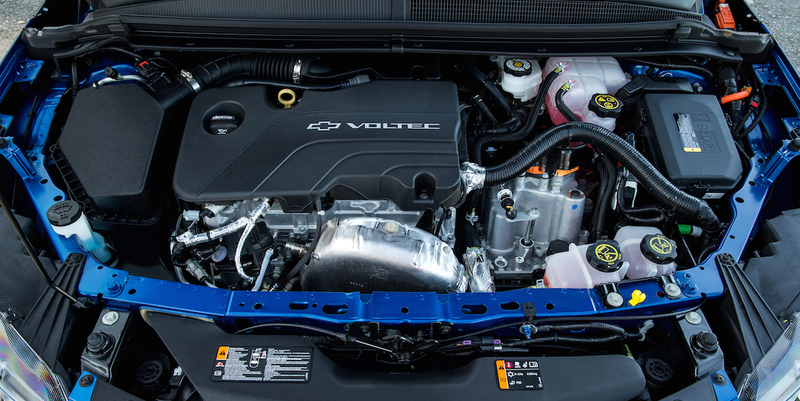 A “Hold” setting allows drivers to engage the gasoline engine before the battery discharges. By allowing the gasoline engine to run when the vehicle is driven on the highway, it helps preserve the battery’s charge for city driving, where pure battery operation is the most beneficial. 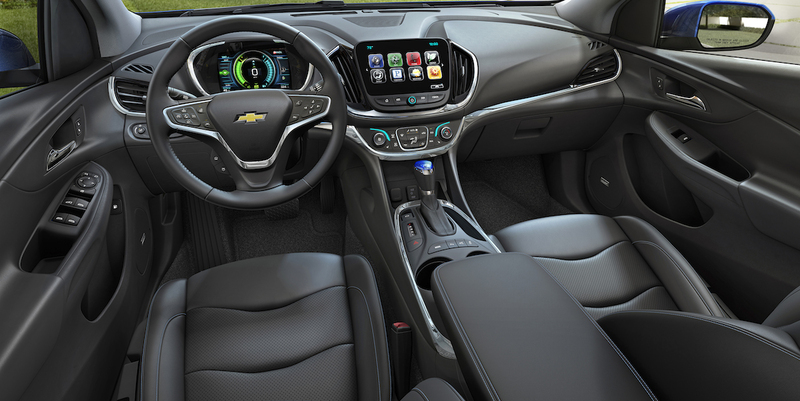 Volt’s standard features include keyless entry and starting, 60/40-split folding rear seatbacks, touchscreen infotainment system, Bluetooth connectivity, and Apple CarPlay functionality. Available features include heated mirrors, front seats, and steering wheel; leather upholstery; wireless cell-phone charging pad; and an automated parking system. Available safety equipment includes a blind-spot monitor, rear cross-traffic alert, lane-departure warning, and forward collision warning with low-speed automatic braking. After its redesign last year, the Volt gets available adaptive cruise control with automatic front emergency braking for 2017. 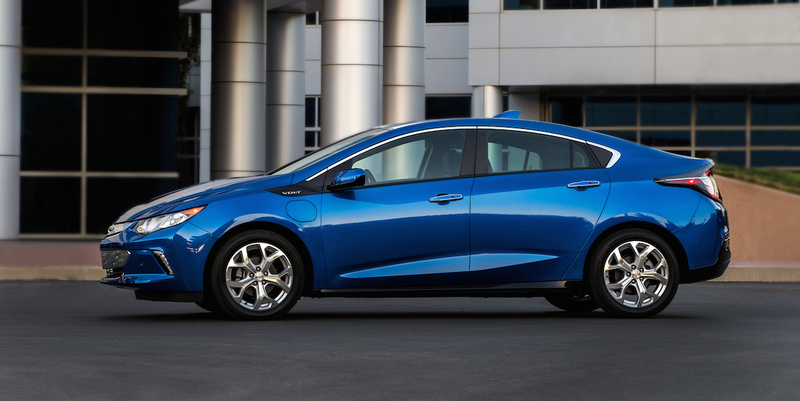 The EPA rates the Volt at 43 mpg city/42 highway/42 combined when running on the gasoline engine, and 106 MPGe in combined gas/electric operation. 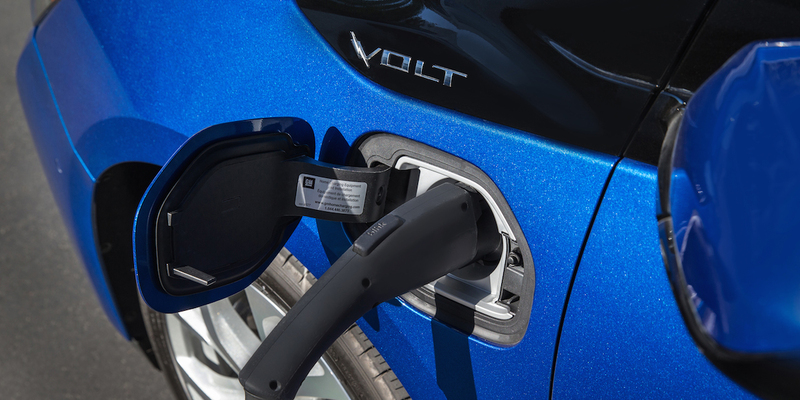 The Volt now runs on regular-grade gasoline; the previous-generation model required premium. 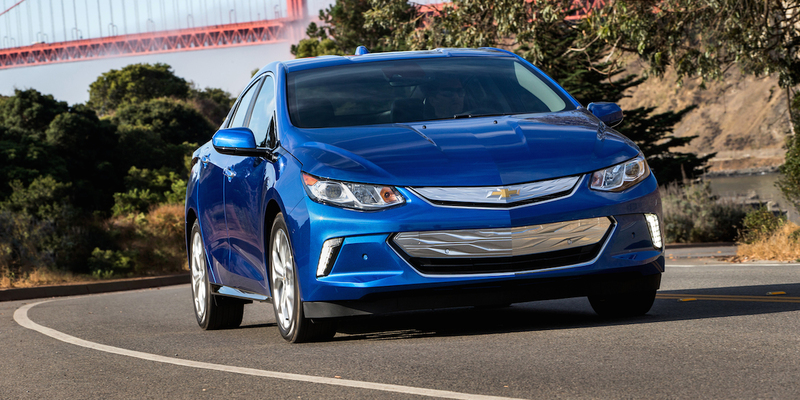 In Consumer Guide testing, a Volt averaged 42.8 mpg when running on the gasoline engine. Our testing occurred in the middle of winter, when the ambient temperature was hovering around freezing. The cold weather took a toll on our electric driving range; we were able to travel between 41 and 46 miles on each full charge. That’s obviously below the official estimate, but we’re confident that we could meet or exceed the 53-mile projected range when driving in warmer weather. 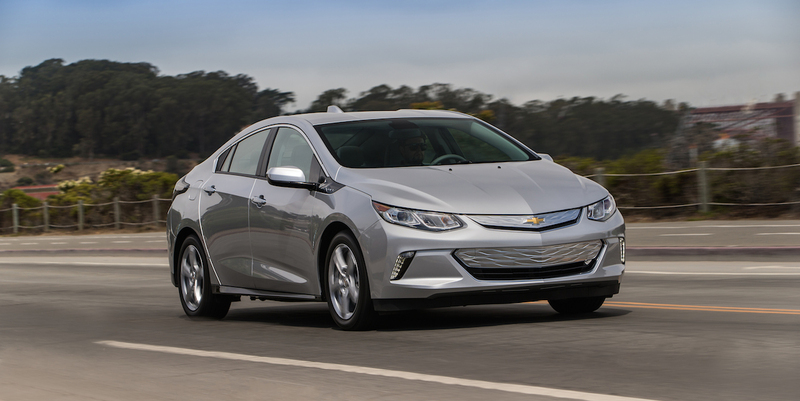 The Volt’s redesign last year made it even more efficient, and brought a host of up-to-date features that make it more desirable as an everyday conventional vehicle. Even taking its sophisticated drivetrain out of the picture, Volt is still a decent compact car by most objective measures. 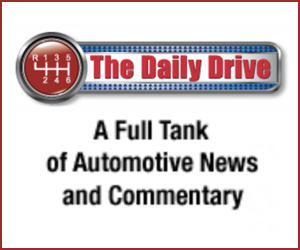 And for many folks, it’s the best way to “go green,” as its gas powertrain relieves the “range anxiety” other electric cars can prompt.